Save by pairing your accommodations and flights. Expedia has some amazing Ooty holiday packages that'll simplify things and give you more cash to splash! Secure your deal on Expedia and gain savings of up to 59%*! It's really that simple! In a matter of minutes, you can arrange everything you need for your next holiday using our exhaustive database. And — with more than 400 partner airlines and 321,000 properties from across the world, you'll have the freedom to mix and match! There's no end to the number of fantastic things you can do when you visit a new place. So why not get your trip to Ooty off to a flying start by perusing some of our suggestions? After all – out there starts here! Pack your favourite novel, find a nice patch of grass and take a moment to bask in the cooling garden air at Botanical Gardens. There's a great range of things to keep you busy in this destination. Would you like to add some greater meaning to your adventure? Make a pilgrimage to St. Stephen's Church. No matter your beliefs, it's a terrific place to observe and find out about the local religion. Still have some time to spare? History is full of lessons. Drink in the knowledge and become more familiar with times gone by at Government Museum. 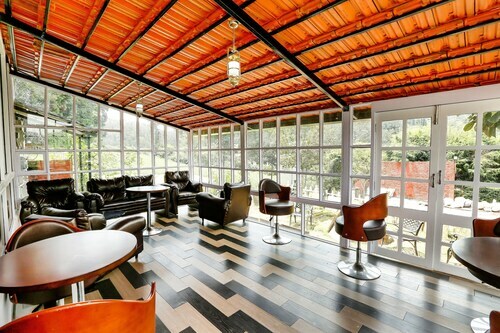 With 44 accommodations in Ooty, searching for a place to kick your feet up won't be an issue. But why delay? 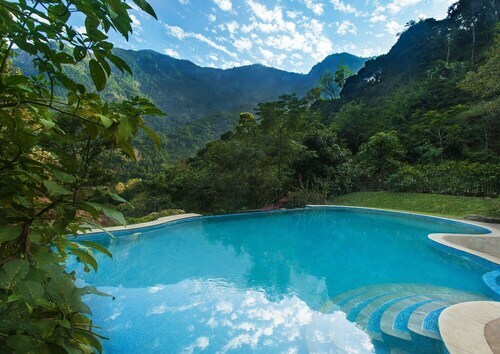 Book early via Expedia and kick off your next luxury getaway or cheap holiday. If you're into things like gyms and valet parking as well as snuggly beds, why not ask about the amenities at the Sunvalley Homestay (Near Stanley Park) and the WelcomHeritage Ferrnhills Royale Palace (Nilgiris, Ootacamund)? There's nothing like disembarking at Calicut International Airport (CCJ) after sitting down in a cramped cabin for hours. When you've claimed your luggage from the carousel and stretched out your limbs, you'll find yourself about 55 miles (89 km) of Ooty's bustling main streets. At the foot of Doddabetta Mountain, this expansive garden has stunning displays of tropical flowers and an array of rare tree species. One of the oldest churches in the Nilgiris region combines charming architecture and fabulous stained-glass windows in a mystical woodland setting. Enjoy spectacular views and an array of plant and tree life at the tallest mountain in the Nilgiri range. Discover thousands of species of rose while you enjoy a serene environment and a magnificent city backdrop. Relax by the water and go for a paddle on this peaceful lake, just minutes from the busy city center. Situated in Ooty, this hotel is within 1 mi (2 km) of Botanical Gardens and Nilgiri Hills. Ooty Lake is 2 mi (3.3 km) away. Ooty Udhagamandalam Station is 29 minutes by foot. Situated in Ooty, this hotel is steps away from Ooty Lake and Nilgiri Hills. Thread Garden and Government Museum are also within 2 miles (3 km). Ooty Udhagamandalam Station is 10 minutes by foot. 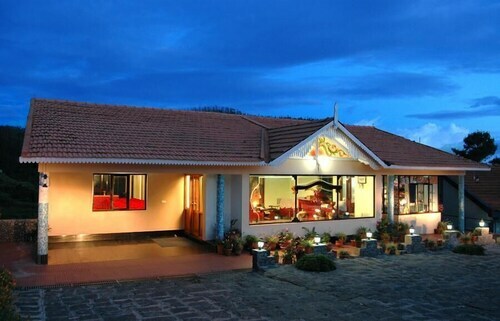 Situated in Ooty, this hotel is 0.1 mi (0.1 km) from Nilgiri Hills and 2.8 mi (4.6 km) from Ooty Lake. St. Stephen's Church and Botanical Gardens are also within 2 miles (3 km). Situated in a state park, this resort is 0.1 mi (0.1 km) from Nilgiri Hills and within 12 miles (20 km) of Black Thunder and Sim's Park. Catherine Falls and Ooty Rose Garden are also within 20 miles (32 km). 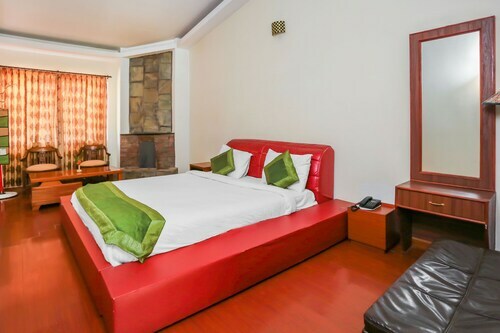 Situated in Ooty, this hotel is within 1 mi (2 km) of Thread Garden, Nilgiri Hills, and Ooty Lake. Government Museum and St. Stephen's Church are also within 2 miles (3 km). Ooty Udhagamandalam Station is 26 minutes by foot. Situated in Ooty, this resort is 0.1 mi (0.1 km) from Nilgiri Hills and within 9 miles (15 km) of Ooty Lake and Mudumalai National Park. Government Museum and Thread Garden are also within 9 miles (15 km). 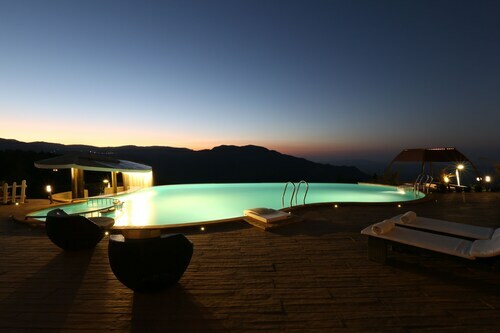 Situated in the mountains, this resort is 0.1 mi (0.1 km) from Nilgiri Hills and 3 mi (4.8 km) from Ooty Lake. Ooty Rose Garden and St. Stephen's Church are also within 3 miles (5 km).